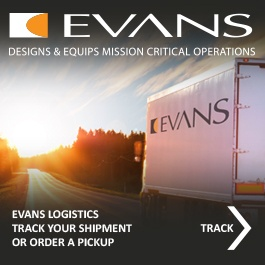 Time-critical pickup and delivery are essential to your operations. Connecting our domestic, trans-border and international programs provides efficient and cost-effective distribution of your goods. Our logistics and road experts ensure operational excellence with our end-to-end tailor-made delivery solutions of goods for any industry. Our integrated global delivery programs enable us to partner with subcontractors for air, ocean, and rail. With an emphasis on compliance, safety, security, professionalism and environmental stewardship your goods will arrive question free and on time. We work to solve our clients’ logistics issues with practical, dynamic, cost-effective solutions to ensure optimal efficiencies throughout the transportation process. All of our trailers are logistics equipped from front to back and floor to roof allowing us to secure your cargo in the most efficient way possible, on-time and claim free. Our road, air, ocean and rail specialists provide safe, flexible and professional delivery services that meet your tight transit times. Whether it is full truck (FTL) or less than full truck (LTL) cargo loads, our logistic experts help your company develop efficient and tailor-made domestic and trans-border programs for distributing of your goods.